Orpheus, Virtual subtractive synth from B.Serrano. 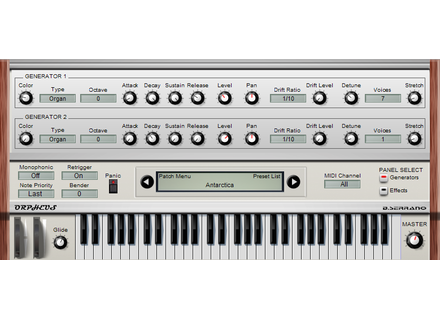 Benoit Serrano has released update v1.1 for its free Orpheus virtual strings/organ synthesizer for Windows. The update is online at bserrano.free.fr. The IK Multimedia AmpliTube 3 for 69 € IK Multimedia has launched a promotion that gives you the opportunity to get a 65% discount off the AmpliTube 3 guitar amp and effect models. Xils Lab announces the Syn’X 2 virtual synth Xils Lab is now accepting pre-orders for the 2nd version of their Syn’X virtual synth, for which a beta is already available.